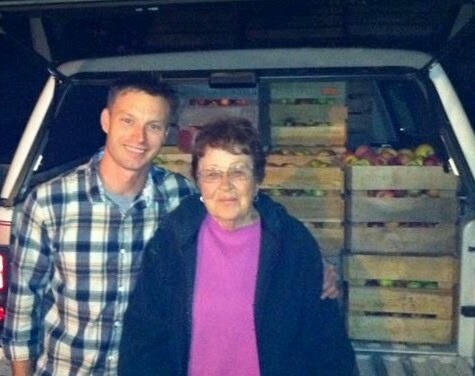 Josh and I visited the orchard this past weekend to do some thinning on the fruit trees. Having the slightest idea what I was doing, I quizzed him relentlessly on how and why this was done. Josh patiently explained how apples get 'more size on them' and more color when they are not overcrowding one another (makes sense, right?) and how the weight of the fruit can stress branches to a breaking point. After about an hour or so, Josh said to me "My grandfather said sometimes you can't take enough fruit off the trees." That's a good enough answer for me... "Because Andrew said so!" 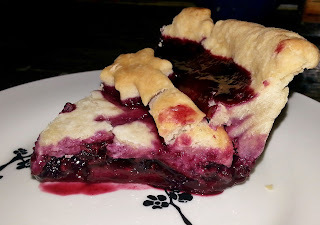 Before we started thinning, Willa took a walk with us around the property and told me that we'd "pick some black raspberries so that I could make a pie tonight." Who am I to argue with grandma? I used the same double crust recipe as in the Peach Pie recipe a couple of weeks back. It's my staple standard crust recipe when I'm not making my "soon-to-be-famous" bacon crust. Gently toss raspberries with orange juice and set aside. In a separate bowl, combine sugar, flour, cornstarch and salt. Gently toss raspberries with dry ingredients. Careful though, these berries are very delicate. Top will filling mixture. Cover with other rolled dough round and seal edges. Cut slits in the top crust to vent. Sprinkle with crystalized/sparkling sugar, if desired. Bake at 450 degrees for 10 minutes and then lower to 350 degrees for 35-40 minutes. Cover the edges with foil or a crust protector about mid-way through the baking time. Cool for 30+ minutes before cutting. 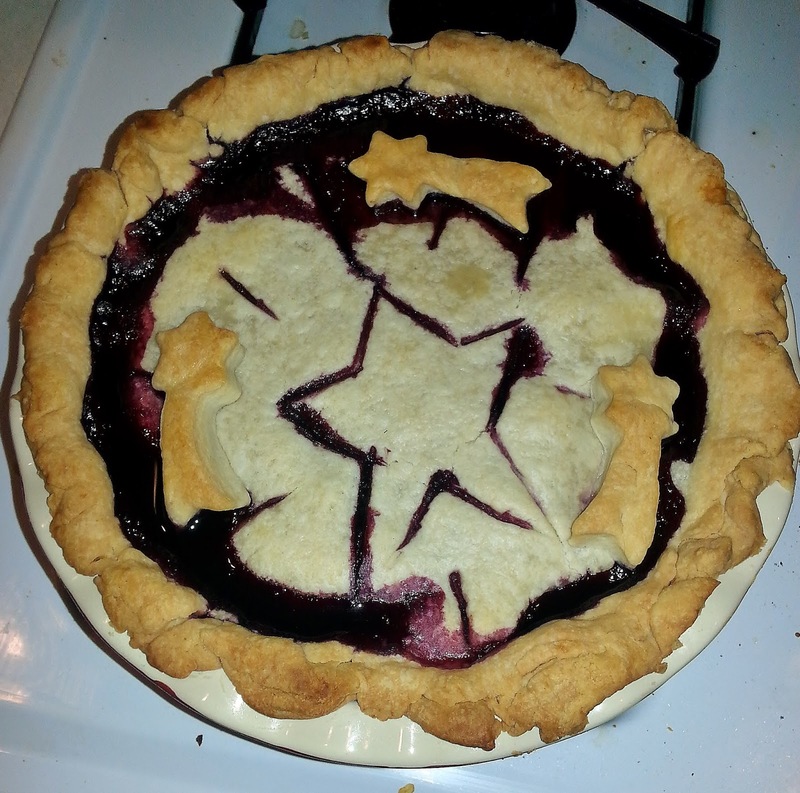 This is a really juicy pie and is even better the day after you bake it (at least according to Josh, it is).